I believe that in business, we can’t depend on single income. Make investment to create a second souce. For those who follow me in my Facebook or Twitter before, this is what I mention earlier. Let me introduce you Printele. My new company that focus on printing services. I choose to partner with one of my friend We do everything that involve printing. We also trying to educate people on recycling printing material such as paper, paper bag, books etc. Since I’m a blogger and photographer, I believe that name card is really important. Guess what? We have good deal for a photographer and blogger. Stay tuned in our page! Fun fact: We have clients before we even have company name. 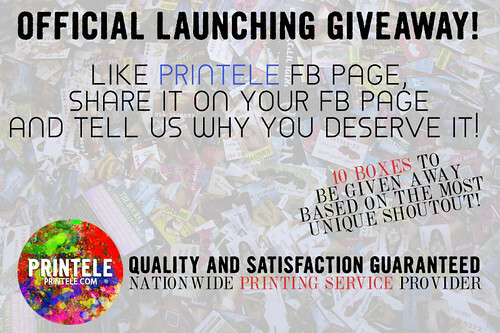 We are giving away 10 boxes of name card for FREE! 2) Share this poster and tell us why you deserve the name cards. We will choose the most unique shutout. Contest end 31st March 2013 10pm! Comprehensive printing solutions for your business. 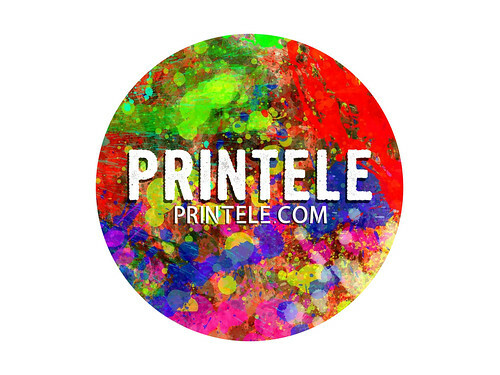 Established in 2013, Printele is dedicated to provide good customer service experience and high quality printing experience at an affordable price. We are the next generation of online printers that offer lightning-fast turnaround printing and production convenience to our customer.